It’s the month of predictions for next year, and this is an important one for B2B Chief Marketing Officers (CMO’s). International Data Corporate (IDC), offered their prediction regarding what Business-to-Business Chief Marketing Officers (CMO’s) can expect for the year of 2014. Learn 10 things you can expect as a CMO in the next year. As ways to best reach clients changes, so does the job description for a CMO. The concept of marketing is becoming more and more complex, and as firms adapt, so will their needs. Ideas have even come across as the development of a position known as the “Chief Content Officer” to augment the C-Suite, focusing strictly the company’s voice and content. The best teams focus on the consistent blend of teams to best reach an audience and measure the marketing impact. This said, it will be increasingly important for the CMO and CIO to work together in order to find synergy between marketing and IT. Check out our infographic – CMO vs. CIO: Clash in the Cubicle. Defined as “Any form of marketing that involves creation and sharing of media and publishing content for the purpose of acquiring customers;” content marketing is an all-encompassing form of marketing that can include anything from Thought Leadership to Branded Content. Thought leadership is what you come to expect when you develop studies, expert commentary, and important opinion. Albeit indirect, it gives credibility and prestige to organizations; and is best suited for Professional Services, Investment Managers, Consultancies, and Universities. It shows intelligent knowledge that can be shared due to the scope of research. The next facet of the content marketing umbrella is that of Branded Content. Braded content generally creates an audience through the “fusion of advertisement and entertainment.” Not as encompassing as content marketing, intellectually oriented as thought leadership, or as direct as advertising; Branded Content generally reaches a fair amount of audience members strictly through the entertainment aspect. The most basic form of content; online marketing includes any of the banner ads, pop-up ads, and ads before videos. This can be successful when done right, but users are becoming more and more apprehensive to ads; treating the ads as intrusion as opposed to pitches. As said in the prior statements, marketing is becoming more complex; and every potential point of contact needs to be considered. Although all three aspects of marketing will need to be cross functional, each serves a very different purpose to an organization. As CMO’s integrate media, marketing through a variety of sources will become more and more important. One voice across all channels, the bedrock for IMC, will increase in depth, breadth, and importance. A staggering statistic, over 80% of your customer data will be lost as a result of a poorly set up value chain. What are a couple reasons that this is occurring? As a marketer, you need to think about every potential detail that you can fathom when it comes to customers. Rather than guessing what data is important, you should first get any information that you can receive; boiling down the information to develop clean precise customer information. If you can’t properly record the information between clicks or interactions, you are taking on things that will in no way benefit your recording. Another need to improve the quantity and quality of data, Officers will develop specific recruiting strategies for individuals with data skills. What does this mean to organizations? As opposed to training marketers how to use data; companies may need to search for individuals with a background in data, training them to succeed in marketing. Tied to the importance of the positive relationship between the CMO and CIO, gaps in the IT infrastructure are becoming alarming; causing the loss of information, loss of speed, and loss of customers. It should come as no surprise that digital marketing needs to be embraced. As the speed of information increases, so does the importance of placement and measurement. This said, companies need to embrace the fact that digital marketing in a B2B spectrum will be the most important factor within the next 2 years. Purchasers are doing their homework. Although sales will always be part of your successful marketing campaign; firms need to consider that budgets for these teams will no longer bring the increased value that they once have. The face of consumer interaction is changing, and if you do not adapt as a B2B CMO, your company will not see the same returns as it has in years past. This is where a marketing team that can bring everything from analytics to content to channel placement can bring success. 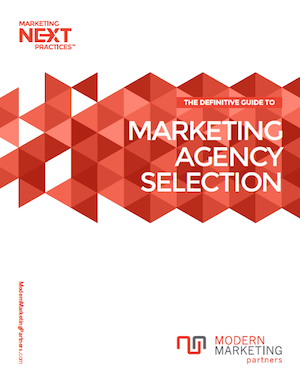 We offer a Modern Marketing Report Card for CMO’s, and free consultations for companies. Our own CMO, Neil Brown, knows what’s coming for the future of marketing; and can teach your company how to best adapt. Contact us by filling out the form, comment on our blog, and call us to find out how we can help you. A great article on important topics for CMO’s. On point 2, I just posted a great article on the top 10 CMO and CIO conversations for 2014 that might be of interest to the group. As a former CIO and current CMO, I have a unique perspective. Brad, great article. Thanks for sharing!